Tannery factory owners have demanded cent percent tax holiday facility for tannery factories in Savar Tannery Estate (STE) in the national budget for fiscal year 2018-19 (FY19). 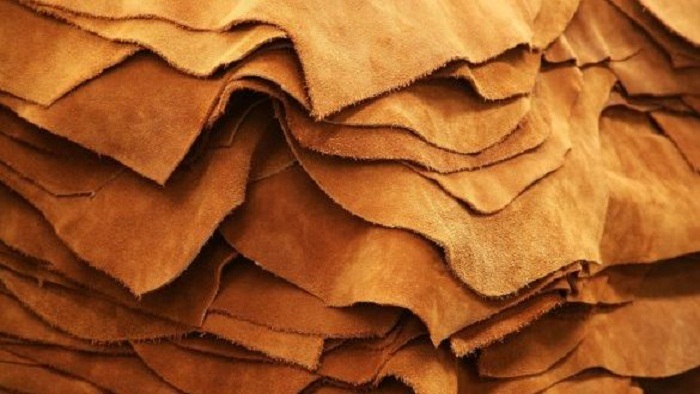 The leaders of Bangladesh Tanners Association (BTA) also demanded taking steps to declare the STE as bonded warehouse and reduction of import duty on raw leather processing chemicals. BTA came up with the demands during a pre-budget talk with the National Board of Revenue (NBR) in the capital on Sunday. "Tannery factories in Savar need to be given facilities. Tannery factory owners who are not getting bond facilities will be considered for giving such facilities on fulfilling minimum conditions," said NBR chairman Md Mosharraf Hossain Bhuiyan who chaired the pre-budget talks. During the talks, leaders of different associations including cold storage, poultry, biscuit, agro processing, fertilizer, seeds placed their budget proposals for FY19. BTA president Shahin Ahmed said the tanners were assured of giving bond facilities for relocation of their factories in STE but no steps were taken in this regard. Tanners are facing financial loss as they are paying 15 percent VAT for construction of infrastructures in STE, he added. He claimed that 31 types of chemical are required for processing a raw hide. Only 30 factories out of a total of 155 can import these chemicals under bond facilities and for this reason, many tanneries are facing closure, he said, adding that if the STE is declared as bonded warehouse, this problem will be solved. Auto Biscuit and Bread Manufactures Association president Shafiqur Rahman Bhuiyan claimed that local biscuit manufactures are facing tough competition in the market because of under-invoicing in import of foreign biscuits. He requested the NBR to take steps to stop under-invoicing to save the local biscuit manufacturers. Agro Processors Association president Fakhrul Islam Munshi demanded reducing corporate tax to 10 percent from the existing 35 percent for agro processing sector. He also demanded waiver of turnover tax for the sector, BSS reports. In the closing remarks NBR chairman Mosharraf Hossain said it is not possible to give all sectors equal facilities because the government has a revenue mobilization target for the development of the country. The government is thinking to reduce corporate tax in response to the demand of the businesspeople, he said.